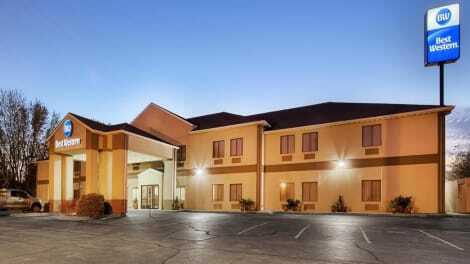 Great Hotel & Convention Center on Famous Route 66! 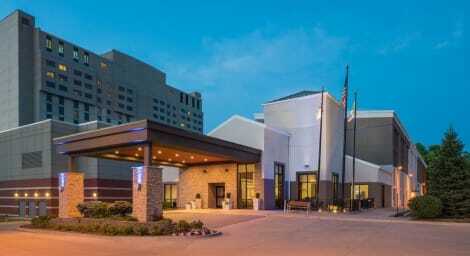 TheCrowne Plaza Springfield – Convention Center is conveniently located on I-55 & I-72, better known as Historic Route 66. Near the University of Illinois Springfield, our hotel is perfect for those coming in to visit the school or catch a game at one of the nearby sports complexes. With a short drive to Downtown Springfield, history buffs will enjoy a visit to the Lincoln Home National Historic Site and the Abraham Lincoln Presidential Library and Museum. Other nearby attractions include Knight’s Action Park and the Illinois State Fairgrounds. Our complimentary shuttle operates a generous 3-mile radius and takes you to UIS, the Amtrak train station, and Abraham Lincoln Capital Airport. 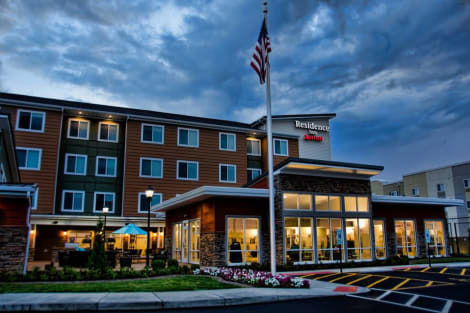 Our accommodations also offer Free Wi-Fi, parking, and always open business center. Maintain your workout routine at our 24-hour fitness center, go for a swim in our 14th floor indoor pool, or relax in our hot tub and dry sauna. Each room is equipped with a mini-refrigerator, Keurig, and 43” TV. Featured amenities include a 24-hour business center, express check-out, and dry cleaning/laundry services. This hotel has 7 meeting rooms available for events. Free self parking is available onsite. Make yourself at home in one of the 97 air-conditioned rooms featuring refrigerators and microwaves. LCD televisions with satellite programming provide entertainment, while complimentary wireless Internet access keeps you connected. Private bathrooms with shower/tub combinations feature complimentary toiletries and hair dryers. Conveniences include desks and complimentary newspapers, and housekeeping is provided daily. Featured amenities include a 24-hour business center, express check-in, and express check-out. Planning an event in Springfield? This hotel has facilities measuring 13000 square feet (1208 square meters), including a conference center. A roundtrip airport shuttle is complimentary (available 24 hours), and a train station pick-up service is also provided at no charge. Make yourself at home in one of the 55 air-conditioned rooms featuring refrigerators and flat-screen televisions. Complimentary wireless Internet access keeps you connected, and cable programming is available for your entertainment. Bathrooms have complimentary toiletries and hair dryers. Conveniences include desks and microwaves, as well as phones with free local calls. Grab a bite from the snack bar/deli serving guests of Residence Inn by Marriott Springfield South. Meet other guests and eat at the complimentary reception. A complimentary full breakfast is served daily. lastminute.com has a fantastic range of hotels in Springfield, with everything from cheap hotels to luxurious five star accommodation available. We like to live up to our last minute name so remember you can book any one of our excellent Springfield hotels up until midnight and stay the same night.